The design is elegant and essential. Without framework, the TRIO vitro-ceramic table is suitable for any type of cooking style. Equipped with independent inductors, all plates can be used simultaneously with an overall maximum power of 6300W and 12 power levels. 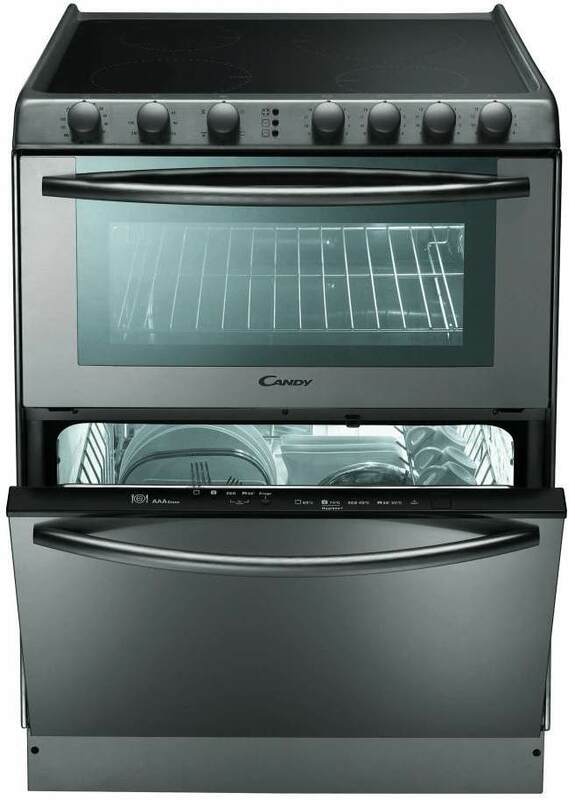 1 multifunction oven, with 5 different functions and knobs control. Equipped with an electronic timer and double glass mirror door. 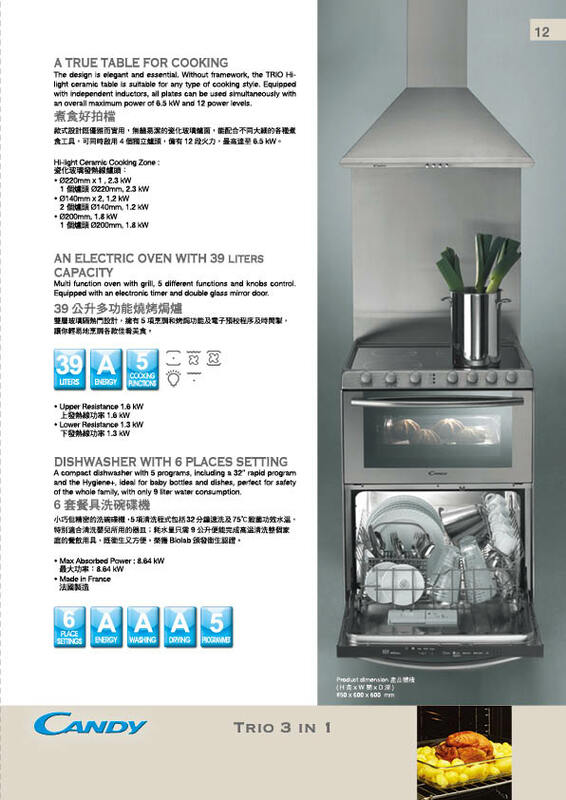 A compact dishwasher with 5 programs, including 32” RAPID PROGRAM and the Hygiene+, certified by Biolab, ideal for baby bottles and dishes, perfect for safety of the whole family, with only 9 litres water consumption.